Video Content Takes Center Stage in Facebook | ASTRALCOM - Content Strategy, Conversion Marketing and Customer Acquisition. Facebook has now launched a powerful tool called the Creator App that is intended to foster the development of new communities through video content. The Creator App will be used primarily by influencers and publishers for better management of their online presence. This app provides a wide range of engagement tools that allow users to add intros and outros, as well as custom emoji reactions to live broadcasts. Creators can simply shoot videos, go to Facebook to upload and edit the videos, and then broadcast them using custom stickers. Another feature in the new Creator App is a specialized inbox which helps to unify conversation across other social media platforms. Facebook’s Creator App provides easy access to analytics, which is very useful to influencers who want to gather information on their audiences. Some of the analytics include fan demographics, number of video views and page traffic. This new app also allows creators to collate these features making it easier to customize the video content. 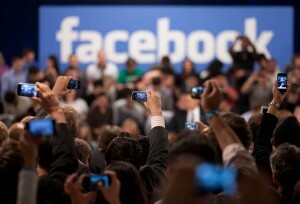 It is expected that with the rollout of the Creator App, Facebook will attract more video developers to its platform. This is because the app has made it simpler to create videos and stream them using mobile devices. Facebook is banking on two key things to draw more users to this app. These include new video features and more unified communication. The app is currently available on iOS, with a version for Android devices expected to be available soon. For more detailed information on the features of Facebook’s Creator App, read Josh Constine’s full article on TechCrunch. If you have been looking to enhance your outreach through social media platforms, ASTRALCOM can help you to create engaging content and effectively manage your campaigns. Our team of experienced content developers and marketers will create customized content that will resonate with your audience. For more information, check out our Social Commerce Tactical Guide and let’s have a conversation about your goals and objectives for 2018.